SugaRush Donuts, the small family doughnut shop on St. Paul’s Green Line, has a lot of fans from the neighborhood. 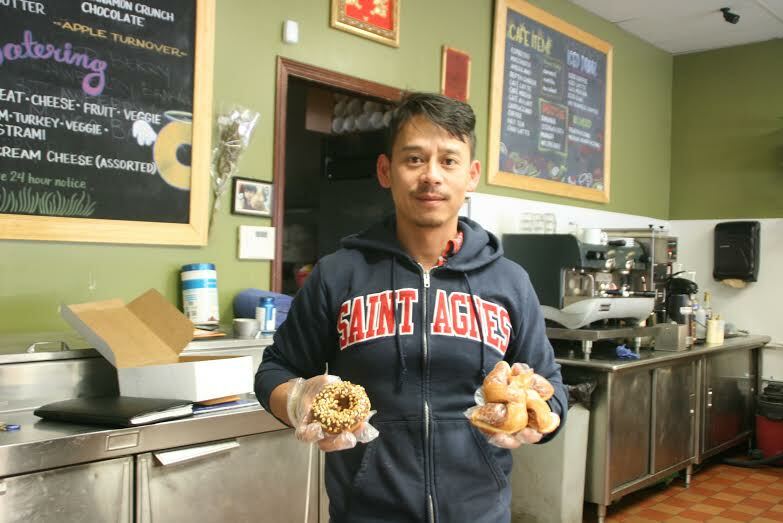 People have been coming in early for a sweet breakfast or an afternoon snack since 2008 when Keoni Nguyen and his wife Susie Path took Rainbow Donuts over from Nguyen’s brother and renamed it SugaRush. 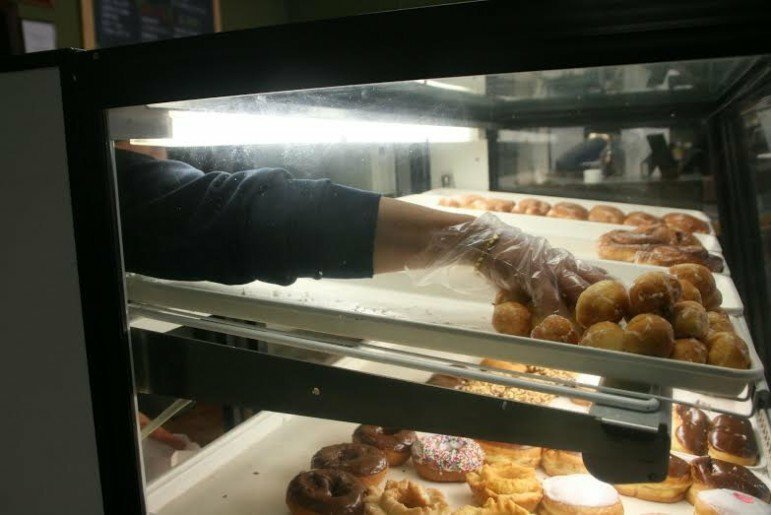 His best seller is the apple fritter, but his hand-rolled cake doughnuts and the raised versions – choose sugar, glaze or chocolate icing – are popular. So are the bear claws, doughnut holes and the cinnamon wheel. During the construction of the Green Line, business boomed. “Construction workers love doughnuts,” Nguyen said. But now, the construction workers are gone and business has slowed. There aren’t enough neighborhood customers to make up for the loss since the line opened. Once, Nguyen had grand plans for the shop, hoping to add a patio to attract local college students and state workers, but the patio was never built – too many regulations from the city, he said. Now, much of Nguyen’s income now comes from his wholesale business. He delivers to coffee shops, quick stops and even churches, including St. Agnes School, where he once attended. If he has any doughnuts left over, they go to homeless shelters and other charities. “I knew who she was, so she’s in jail, now,” he said. There were other problems. His landlord nearly doubled the rent, anticipating that the light rail would make the properties along light rail more in demand. That’s when Nguyen started of contemplating his business options. “I am thinking of moving,” he said. “Wherever they have a kitchen. Just last week, I looked at a nearby store front, but they want so much money and my business couldn’t afford it.” He said he’d prefer a location not directly on the light rail line. And, he’s considering building his own stand-alone building to house SugaRush, both wholesale and retail, but he has no desire to abandon the neighborhood. He said he’d like to relocate a few blocks away, near Dale and Minnehaha, maybe near a corner. “I would like to have more than a coffee shop. Maybe sell sandwiches, too, with an outdoor patio – the whole nine yards,” he said. He’s looking to the city and to local non-profits to help with the move and the expansion. The Neighborhood Development Center helped during construction, with management advice and technical support. [Editor’s note: This is part of a series on businesses along the Green Line, one year after opening. We profiled the Dubliner and other University Avenue businesses in 2014 as part of a Minnesota Historical and Cultural Heritage Fund grant.